When I visited Friends in Vassalboro, Maine last month, I was blessed to have dinner with Paul and Elizabeth Cates at their home on the family’s flower farm just down the road from the Vassalboro meetinghouse. We had seen each other briefly at the Living Faith gathering at the Friends School of Portland a week before, and it was wonderful to have more time with them. Over dinner, our conversation turned to the climate surrounding the recent presidential election, about Elizabeth’s life in Germany in the shadow of authoritarianism, and the fears so many who knew fascism first-hand have been feeling in recent months. Her family was part of the Confessing Church, the Christian movement in opposition to fascism; Paul and Elizabeth first met as he carried messages between East and West Berlin after the war, connecting the churches in that divided city. I shared my sense, strengthened in prayer, that this is a time that calls for Friends to speak clearly, now more than ever. In worship in the Vassalboro meetinghouse, just up the hill from the edge of China Lake, bounded by the beautiful burial ground where so many generations of Friends are laid to rest, I felt the close presence of New England Friend Rufus Jones, whose ministry and tireless service reshaped the Quaker movement in the early twentieth century. There, praying on the shores of the lake where Rufus grew up, I was drawn to remember a story Rufus told—a story I grew up with—about a delegation of American Friends sent to Germany to seek Nazi permission to provide aid and safe passage for Jews being persecuted under fascism. The story goes that in the days following Kristallnacht—the “Night of Broken Glass”—when hundreds of Jews were killed, thousands were arrested, and thousands of Jewish homes, businesses and synagogues were destroyed on November 9-10, 1938, the American Friends Service Committee asked Rufus and two other Friends to travel to Germany to see what American Quakers could do in the face of such violence and suffering. Their mission led them to petition the Gestapo—the Nazi secret police—directly. After they had presented their initial request, they were asked to wait for a decision. There in a small room deep in the headquarters of the fearsome secret police in Berlin, they entered into a time of silent, waiting worship. After who knows how long, they were told that the permission they were seeking had been granted; they would be able to work (for the time being) for the relief and safe passage of Jews who were suffering so greatly in Germany. Since I visited Vassalboro, in daily prayer and in worship in meeting, I’ve found my thoughts turning again to that worship, there on the threshold of the Gestapo. I’ve wondered: In the midst of such fear, in the heart of such institutional evil, surrounded by worldly power, what assurance might they have felt in that worship? What was their experience, waiting there in the stillness, on the threshold of fascism? Where did they find the courage to make room for worship together at such a time, in such a place? What risk of faith must it have taken, in the face of all the voices and pressures telling them that “power” came through violence, oppression and fear, to again entrust their lives to the motion of Love? Imagining those moments of worship, the witness of Friends in that generation, and the Love that flowed through them, I find myself amazed. And I’ve come to realize that’s exactly where I need to be. Thomas Merton, in an essay in his “Raids on the Unspeakable”, reminds us that in the story of Christmas, the Christ-child is born when there is no space available—in a “time of no room,” a time such as this. The radical discipline of Advent, this season when so many of our wider Christian siblings celebrate the preparation for the coming birth of Jesus, is a time of waiting, of absence, of preparing room in our hearts and in our lives for the inbreaking of new Life and Light in the midst of the darkness of the winter, in the midst of the suffering, fear, anxiety, busyness, distraction, division, rage and hopelessness of our world. In the Christmas story, when this Life and Light come through, there is amazement. Suddenly, everything is seen in its true perspective, and the forces of death and empire lose their dominion over our hearts. It just may be that the challenge for our faith today is fundamentally the same as the one before those Friends in Berlin in 1938. We stand on the threshold of a new year, on the threshold of a new presidency, in a time when so much is passing away, when the institutions of church, economy and society that once seemed eternal are profoundly changed or breaking down, when the present terrors of white supremacy, authoritarianism and ecological collapse are deeply felt. Though fear and uncertainty surround us, though we can’t predict tomorrow, though for so many of us looking into the future feels like staring into the abyss, I believe we are invited—challenged—to walk in fearsome places in simple obedience to the tender, unshakeable Love of God, and to make room for amazement. Our Friends practices and our meeting communities can help us to open ourselves to the Power we can encounter in worship together, the Love and Life of God, the quickening Spirit that waits to be born anew today—in our own hearts, in us as a faith community, and in our world. Pictured, from left: Christa Frintner and Kim West (Friends Meeting at Cambridge, MA); Honor Woodrow (Framingham, MA); Jay O’Hara and Meg Klepack (West Falmouth Preparative, MA); Noah Merrill (Putney, VT). 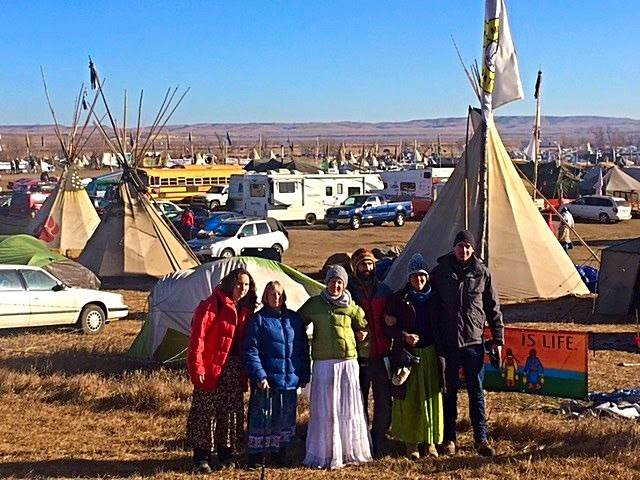 In late November, six New England Quakers traveled to the water protector camp of the Oceti Sakowin (Seven Fires Council) in North Dakota.Jay O’Hara of West Falmouth (MA) Meeting, who helped organize the delegation in November, initially visited the encampment in September and wrote this reflection. This month’s Friends Journal features a story from Shelley Tanenbaum of Quaker Earthcare Witness, one of several other Friends who have visited Standing Rock in recent months. Note: Due to weather and changing conditions at Standing Rock, all Friends interested in supporting the continuing prayerful witness of the water protectors and join them in advocacy are encouraged to consult www.ocetisakowincamp.org and sacredstonecamp.org for current news and guidance, and to read this December 8 coalition statement from the Dakota Access Pipeline resistance camps. Image: Panorama of Oceti Sakowin Camp. Photo: New England Yearly Meeting of Friends. Sarah Gant of Beacon Hill (MA) Meeting, who serves as clerk of the Permanent Board of New England Yearly Meeting, has for the last year written periodic letters to Friends throughout New England.These reports offer important updates on the work of the Permanent Board which stewards our shared work and carries the governance responsibilities of the Yearly Meeting between Annual Sessions. Read Sarah’s most recent letter here. 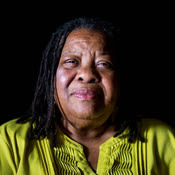 One highlight – Sarah shares the breaking news that civil rights activist and public theologian Ruby Sales has agreed to be our keynote speaker at Annual Sessions this August. Click here to listen to a recent podcast interview with Ruby Sales (pictured left) with Krista Tippett of OnBeing. More information on Ruby’s time with us—and how we hope it might support New England Friends’ commitment to address and heal from the spiritual contagion of white supremacy—coming soon. In early January, please hold in the Light Friends Camp Director Anna Hopkins and Yearly Meeting Secretary Noah Merrill—the two managerial staff of the Yearly Meeting—as they participate in a five-day intensive offering of Beyond Diversity 101, a program developed and led by Niyonu Spann of Chester (PA) Friends Meeting in Philadelphia Yearly Meeting, and co-led by Lisa Graustein of Beacon Hill (MA) Friends Meeting. This fall and winter have seen an abundance of workshops in New England supporting the spiritual work of clerking and participating in Friends process of corporate discernment in meeting for business.If you couldn’t make one of those events—or just want resources to share with your meeting—we’ve collected several resources on clerking in the Quaker tradition. Coming soon: Video of a recent presentation by Jackie Stillwell of Monadnock (NH) and Jan Hoffman of Mt. Toby (MA) at Burlington (VT) Meeting. Have great clerking resources of your own to share? Please email us. We’d love to consider how we might share them more widely. Each year, hundreds of young people participate in the Youth Ministries of New England Friends. Through the retreat programs of Junior Yearly Meeting, Junior High Yearly Meeting, Young Friends and the summer sessions of Friends Camp, youth participants and skillful, gifted staff together search for and discover essential truths about what matters most in life, build lifelong relationships and practice following inner guidance with the support of a loving community. This fall, the Permanent Board of New England Yearly Meeting approved final revisions to a new Child Safety Policy for the Youth Ministries under our care, continuing our deep commitment to responsible and faithful stewardship of these important ministries on behalf of New England Friends. 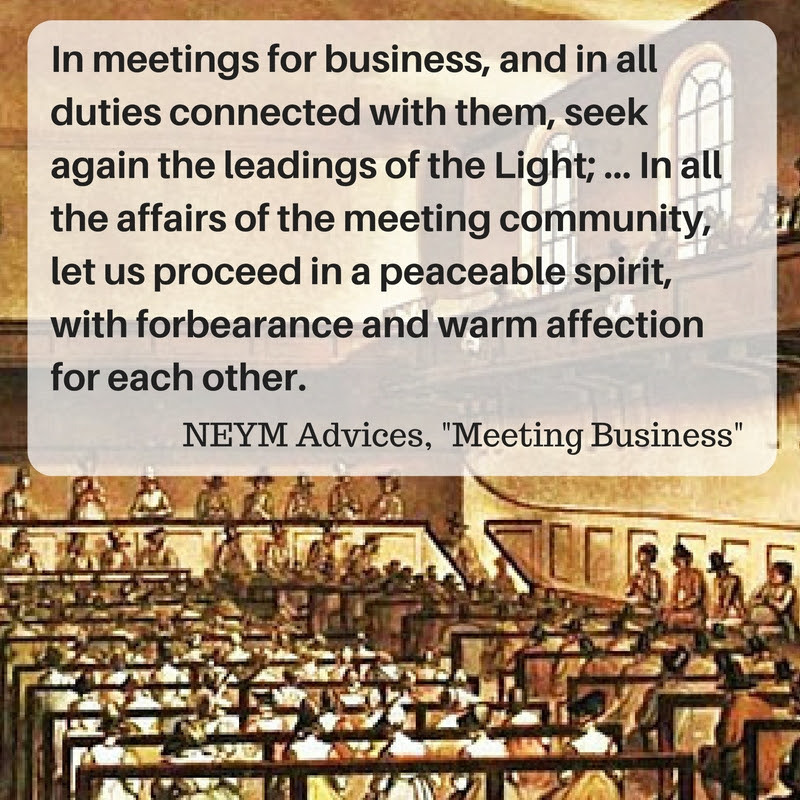 While this policy covers only the programs under direct oversight of New England Yearly Meeting as an organization, we encourage all local meetings to consider how your meeting fosters an environment of safety, accountability and loving care for each of the precious children in our faith communities across New England. Where possible, we hope this policy might serve as a template to inform local meetings’ discernment. Seeking further support in developing child safety policies and practice? Contact Religious Education and Outreach Coordinator Beth Collea for resources, consultation and connections with others who have done this important work in their local meetings. Looking for ways to ensure youth workers are background-checked? 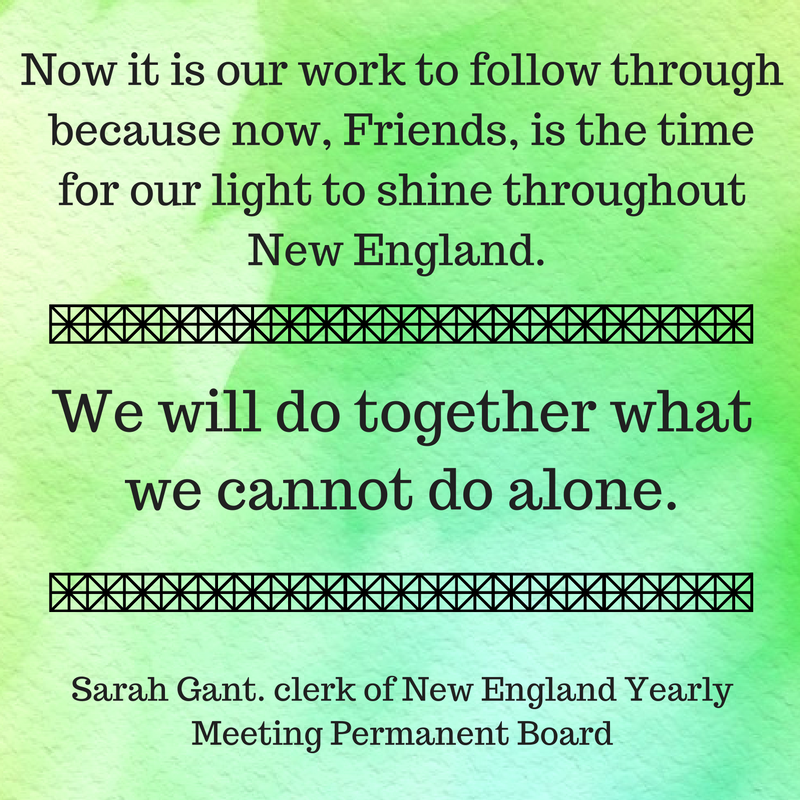 New England Yearly Meeting also offers confidential criminal background screenings for youth workers and volunteers in local meetings. Contact Office Manager Sara Hubner for more information. 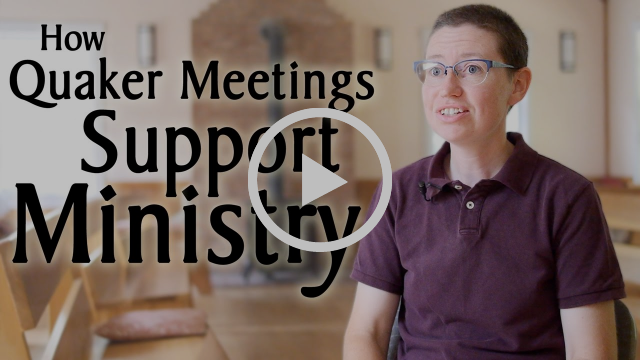 In this third video in the partnership between New England Friends and QuakerSpeak, we asked about the relationship between those serving in public ministry and the Friends meetings that support them. 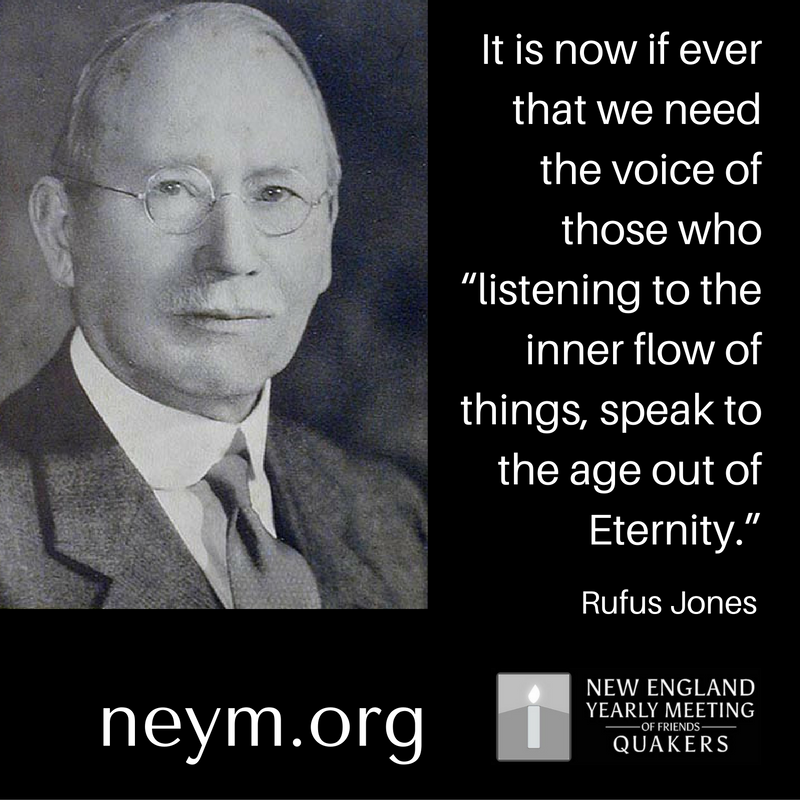 The Legacy Grants of New England Yearly Meeting support the life and ministry of Quakers and Friends communities in our region. The next deadline for submissions is March 1, 2017. Click here for more information on the funds overall, and click here for information on applying. In recent weeks, we’ve heard from many New England Friends and Friends Meetings who have been praying and preparing in recognition of a worsening social and political environment in our country—especially for immigrants, Muslims, People of Color and LGBTQ+ people. Many of us are gathering for worship and discernment about how we are called to live our faith in this time of division, violence and fear. On January 15 in Boston, Lisa Graustein and Greg Williams of Beacon Hill (MA) Friends Meeting are hosting an event to support Friends in organizing and preparation for deepened work and witness. 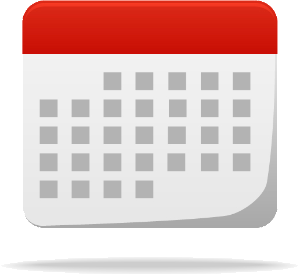 Are you or Friends from your meeting planning to participate in the Women’s March on Washington on January 21? Friends Meeting of Washington (DC) is offering limited hospitality. Are Friends in your area bringing people together to pray, strengthen relationships, foster dialogue, or share how you might be led to witness today? Please let us know so that we can help spread the word. Several local congregations have issued a proactive statement making clear that they will offer sanctuary to immigrants and refugees who may be in need of support and protection in the coming months and years. Wellesley (MA) Friends Meeting is one of the signatories. Quakers from several parts of the state have been actively working with religious and community groups throughout their region on a public pledge to protect the civil rights of immigrants in their communities. Following requests by several Maine Friends, the Presiding Clerk and Yearly Meeting Secretary signed the pledge on behalf of New England Yearly Meeting of Friends. New England Yearly Meeting of Friends is a denominational member of the Massachusetts Council of Churches. Executive Director Laura Everett recently spoke to an interfaith event at the Islamic Society of Boston in Wayland, MA, expressing our support of and commitment to our Muslim brothers and sisters. December 29-January 1, Deerfield, MA: Year-End Contemplative Retreat. Co-led by Michelle Brimage (Beacon Hill, MA); Sheila Garrett and Sadelle Wiltshire (Putney, MA). A program of Woolman Hill Quaker Center. January 14, 2017, Dorchester, MA: A Day of Quaker Organizing and Preparation. Concurrent programs led by Greg Williams and Lisa Graustein. January 20-22, Deerfield, MA: Say the Wrong Thing: Strategies for Racial Justice and Authentic Community. A workshop with Amanda Kemp. Sponsored by Woolman Hill Quaker Center. Download a program flyer here. March 18, 2017, Winthrop, ME: “DayTreat” with Ministry & Counsel. A day of mutual support, resource-sharing and connection for those caring for the spiritual lives of their local meetings. Sponsored by Ministry & Counsel Committee of New England Yearly Meeting. April 8, 2017, Providence, RI: Living Faith Gathering. Join Friends from throughout New England for a daylong event to nourish our faith, grow our communities, and strengthen our witness. April 22, 2017, Earth Day. Consultation on Corporate Climate Witness for New England Yearly Meeting of Friends. Location and details to be determined. For more information, read the Minutes of Annual Sessions 2016 committing to this work. 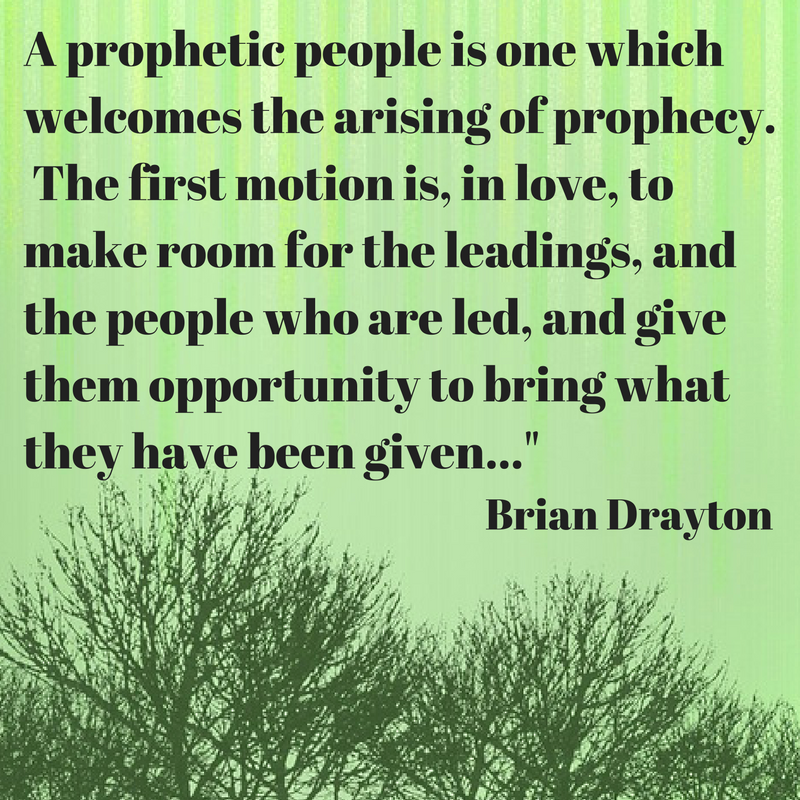 Next > Friends, welcome prophets among us in these dark times!